Here’s an awesome setup that really makes the best use of available hardware. 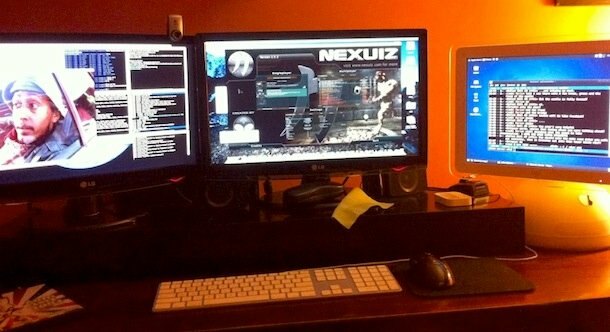 On the left, a desktop Hackintosh powers the dual 22″ LG monitors , while an older lampshade iMac runs Linux on the right. nice setup question for the user I heard the latest apple keyboards don’t allow the use of F keys on hackies. what are the monitors sitting on? How long is the desk?